The professional home-based clinic is run by remedial massage therapist Laura Cook who has many years experience in various massage modalities. 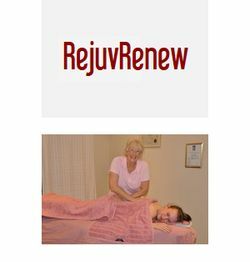 RejuvRenew is remedial massage therapy clinic operating in the peaceful suburb of Blackburn, Victoria Australia. Laura will tailor a massage treatment specifically for you based on your symptoms, health history and treatment goals. Laura is fully qualified and a registered provider with most private health funds. I am a fully qualified and experienced massage therapist and my approach is to work with you to formulate a treatment plan tailored specifically to your needs. You will find me caring and respectful. Remedial massage is used to treat pain and dysfunction from chronic conditions like arthritis and acute conditions caused by stress or muscular injury or over activity. Rebates from most health funds apply. Sports massage combines different massage and stretching techniques to enhance sports performance and recuperation. Sports massage is an effective component of any training program. Rebates may apply. Relaxation massage uses gentle techniques that relax mind and body. Health fund rebates may apply.